The Future Is Here, And It's Fast! Fast Racing Neo was developed and published by the world-renowned indie developer Shin'en Multimedia the masterminds responsible for the hit WiiWare titles Fast Racing League and Art of Balance, as well as the Wii U titles Nano Assault Neo and Art of Balance for the Wii U as well as some top-notch 3DS titles as well! The developer always impresses their fans by developing some of the most visually impressive indie titles on Nintendo's consoles and handhelds! 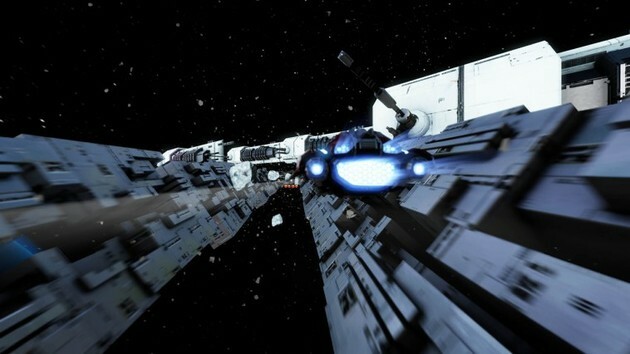 Fast Racing Neo is fast and we mean really fast! The game forces you to memorize the tracks or you will crash and burn! The tracks are varied and feature a wide-range of obstacles and hazards and the in-game physics require precision in handling corners which will test your skills to there absolute limits! 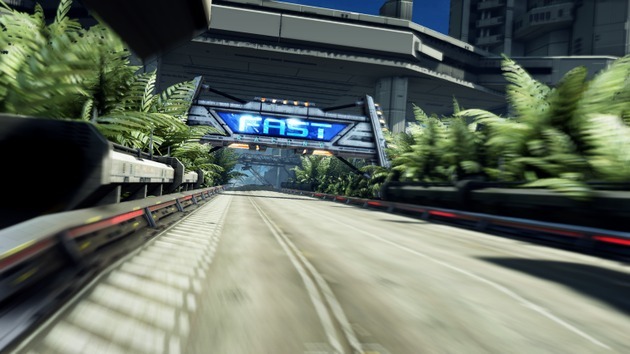 There are 16 courses in the game, which is 4 more than Fast Racing League possessed and the visuals are perhaps even more impressive than those of Mario Kart 8 which suffers from some frame-rate issues during 200cc races, but Fast Racing Neo stays at a steady 60 FPS during 1-2 player sessions and 30-40 FPS with 3-4 players! Fast Racing Neo's main gameplay mode is championship mode with four cups and three speed classes, you can unlock new cups, vehicles, and speed classes by finishing each cup in the top three positions in this mode! The game also features online matches and time-trial modes which are both fantastic in their own right. The controls are very responsive and work flawlessly, however it'll take quite a while for most players to master them. The game also supports Off-TV-Play, however it has split-screen during local multiplayer, which makes it nearly useless when playing locally with some friends. The game also has an unlockable hero mode which amps up the speed to insane levels and mirrors the game's 16 courses which is sure to prove extremely challenging for most players! The music is incredible and fits the game well! It definitely fits the futuristic setting of the game and the announcer from F-Zero X brings his talent to Fast Racing Neo by voicing the announcer in the game, which is a really nice touch and adds alot to the overall audio-visual presentation! 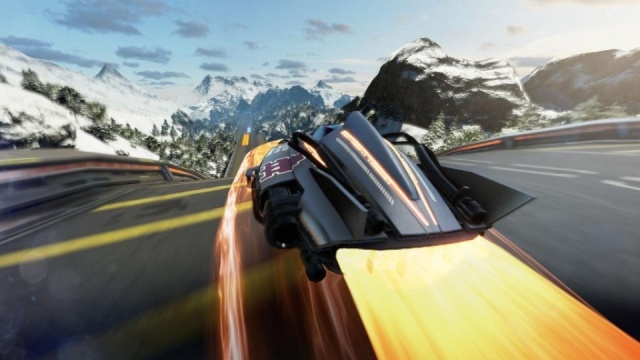 With challenging, yet excellent gameplay, great precision controls, and an audio-visual presentation that will impress almost anyone, Fast Racing Neo is one of the best holiday Wii U releases this year and we can't recommend it enough to any and all Wii U owners, which is why we have given the game a near-perfect score! Been Loving this game. If anyone has it we should on online some time. Im getting Pretty Good. This game is so challenging, but worth every penny! Nice review boss! My husband and I downloaded this last week and we love the game. Raging headaches aside this game is fantastic, but not for people who suffer from motion sickness.